My Mum is a little bit obsessed with reindeer. She’s got reindeer that light up, reindeer that sing and dance, reindeer that are beautiful, and reindeer that are really ugly and once Christmas rolls around, out comes her crazy reindeer collection! 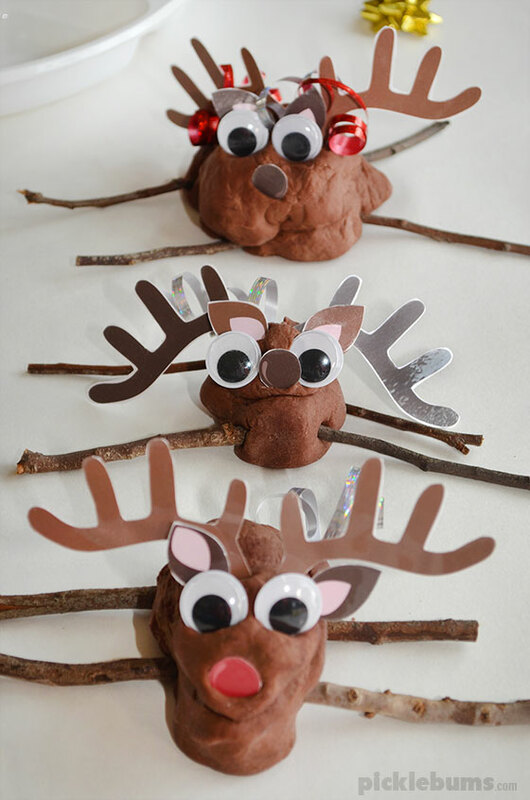 So in honor of my crazy mum and all her reindeer we had some fun making play dough reindeer! 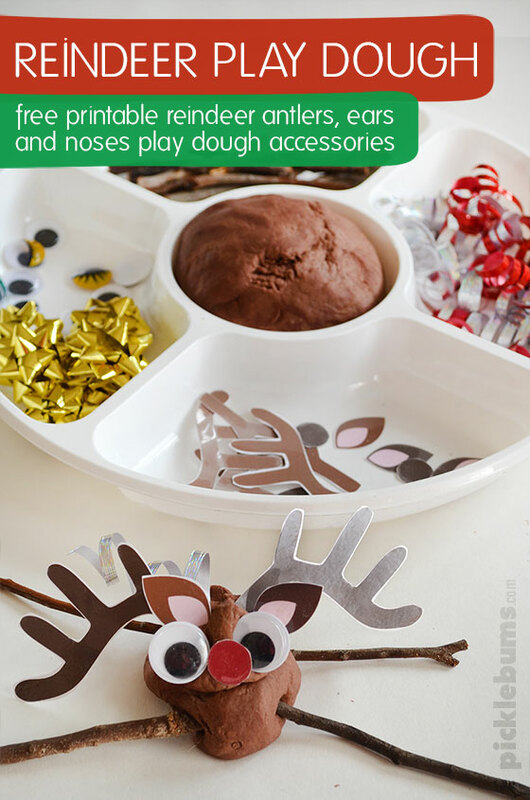 I collected up a few bits and pieces from around the house to put together this fun reindeer play dough invitation to play. I also made some reindeer antlers, ears and noses that we printed out, laminated, cut out, and added to our reindeer play dough. Since this time of the year is already busy enough, I kept it simple and used a no-cook play dough recipe. 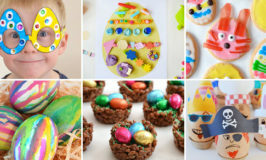 And the easiest way to make brown coloured play dough is to add 2-3 table spoons of cocoa as your colouring. Not only does the cocoa make the play dough a nice reindeer brown, it also makes it smell like chocolate, so make sure you remind little ones that it won’t actually taste like chocolate! 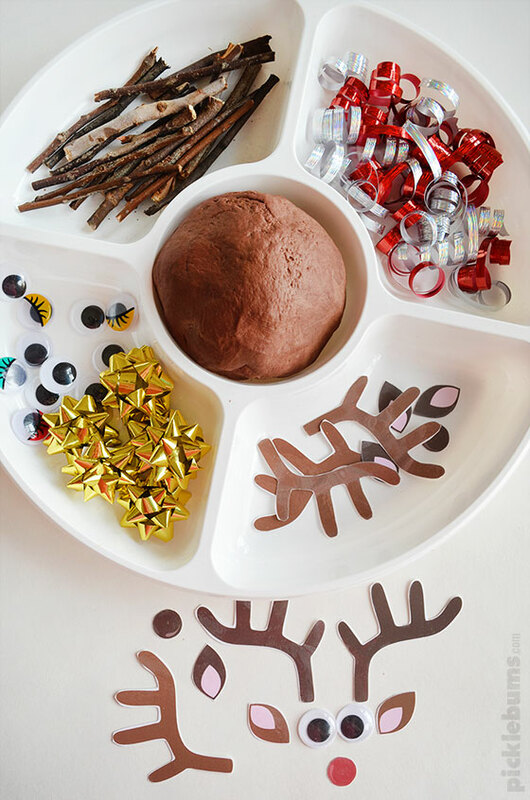 An easy no-cook play dough recipe to use with our fun free printable reindeer play dough accessories! In a large bowl mix the flour, salt and cream of tar tar together. If your colouring is powdered add it to the dry mixture. If your colouring is liquid, add it to the water. Add the hot water a little at a time, mixing well, until it becomes a slightly sticky dough. Knead the dough on a floured surface for a few minutes until it becomes soft and workable. If it is still a bit sticky knead in some extra flour. 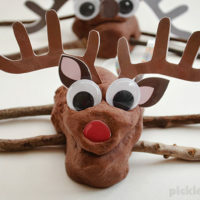 The boys and I had great fun making some very cute, if a little dopey, looking reindeer! And Rudolf, with his red nose, got to lead the pack! 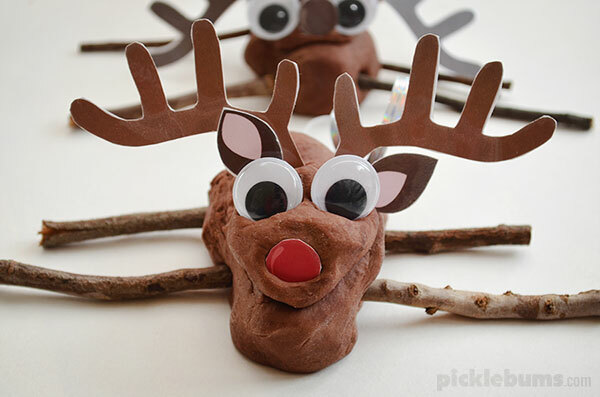 If you’d like to make some play dough reindeer you can download our free printable reindeer play dough accessories here. 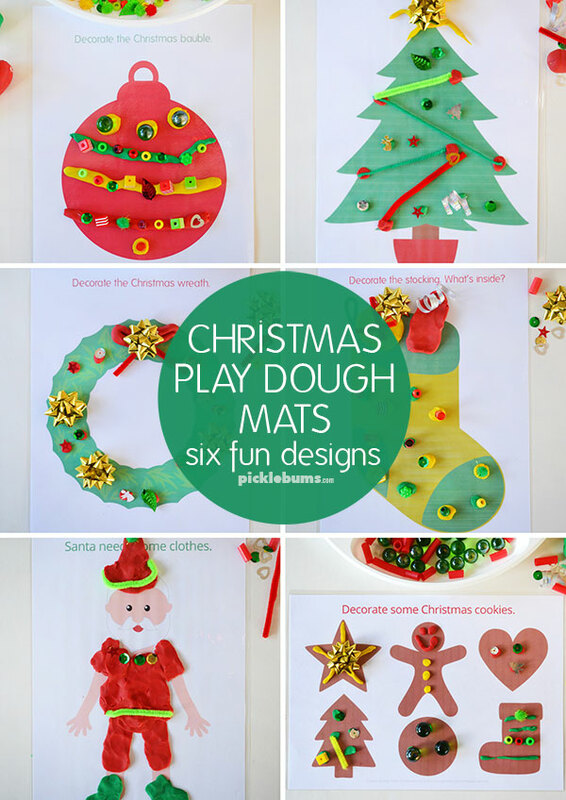 If you would like some more Christmas play dough fun check out our Christmas play dough mats. 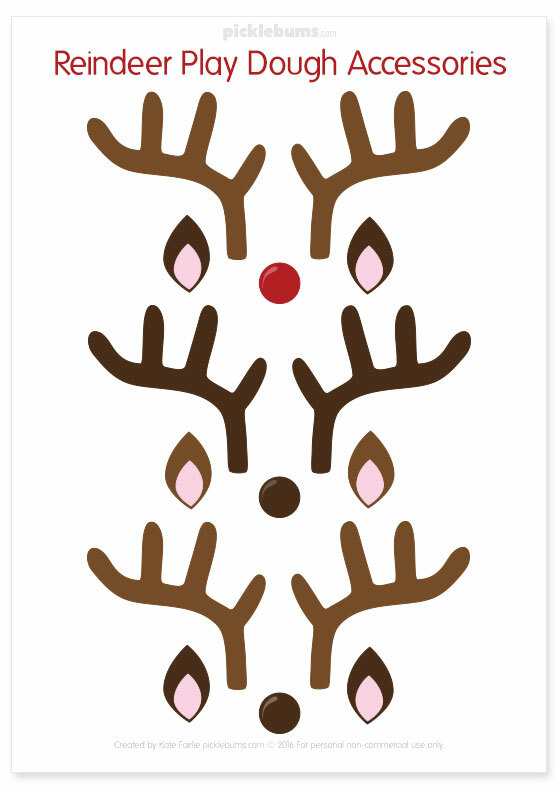 You can buy this set of Christmas themed play dough mats in my shop. There are six different open-ended designs ready to print and play. They are on sale for $3.99 for a limited time. Wow! This is fabulous. Added to my list of play ideas for next week. Thanks! 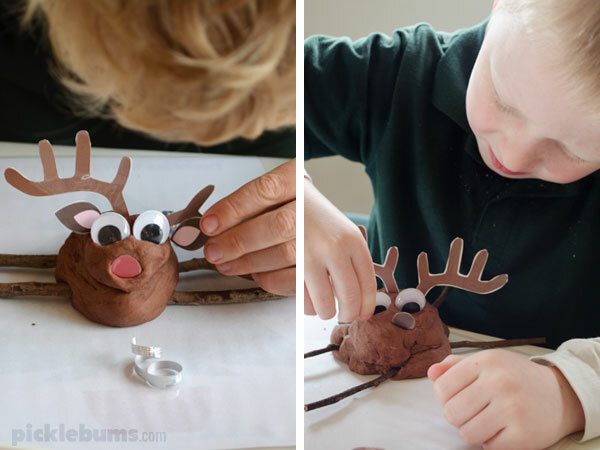 Home » Reindeer Play Dough!